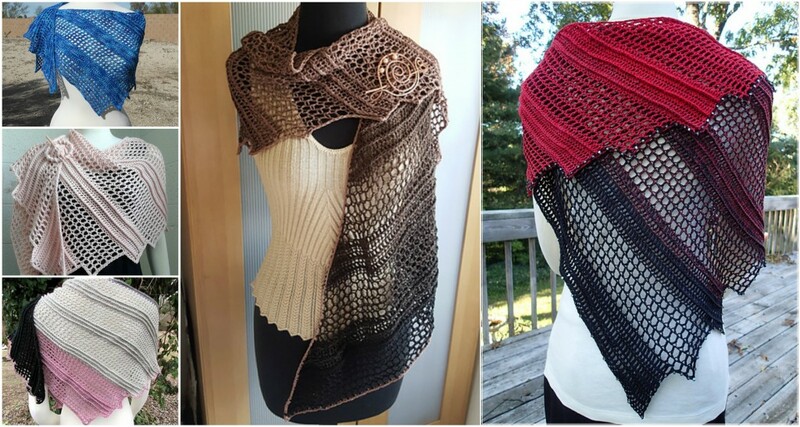 We know how muck love and feedback got our previous article about different shawls and wraps and that is what inspired us to do another one different from all the others, which is called lizard shawl/wrap, the one you see on the photos. As you can see you can crochet it in one color or in two, it still has is charm and beauty. you can even crochet it multi color, I think that it is a good idea too. Even judging from the photos you can say that this shawl is not only for winter and cold days, you can wear it in warmer weather too, it is light and very comfortable, I think that you are going to fall in love with it and it may become your favorite clothes.